You’d be crazy running for a second term, Mr. President. Now here’s a movie that would give President Obama a heart attack. 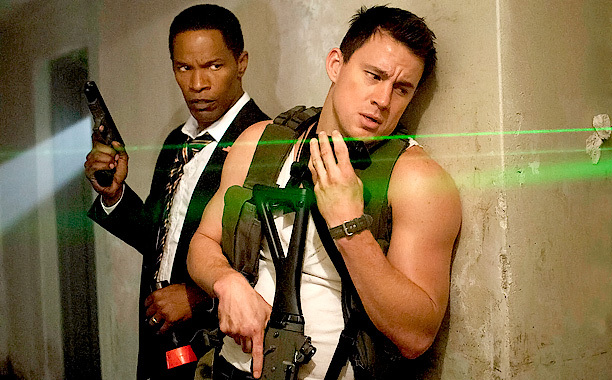 White House Down, much like a film released earlier this film called Olympus Has Fallen are both about the same thing. The white house is under attack by a group of professional terrorists, the president is in danger, and our brawn yet brave hero must step in to save him. All you need is a ripped shirt, a clean-shaven face, and a lot of guns on this guy (not just automatic) and you’re all set. Unfortunately, that’s all the information I can give you. This movie is so thinly written that that’s the deepest I can go without giving any spoilers. The only other information I can provide that could give you any clue on to what this movie is like is that the brawn, brutish hero is played by Channing Tatum, the president is played by Jamie Foxx, and Tatum owns a daughter portrayed by the sweet and talented Joey King. I’m going to get this out of the way: Channing Tatum should never play the lead in any movie ever. He cannot act. There is no sincerity in his voice, no fluid movement of his body, no expression on his face to show he’s feeling anything except for when he’s shooting at something. The fullest his acting capability reaches in the movie is the eyedrops you see in his cornea when he’s “crying” for his daughter. I’m not even kidding. His acting is so terrible, the only use Tatum is in the movie is to provide meat for the female viewers in the audience. (And I will admit my jealousy here: I will never look as good as Channing Tatum does. I don’t think its possible for any man to). Foxx: What you do, I do. (Channing Tatum ninja moves across elevator). Foxx: I ain’t doing that. 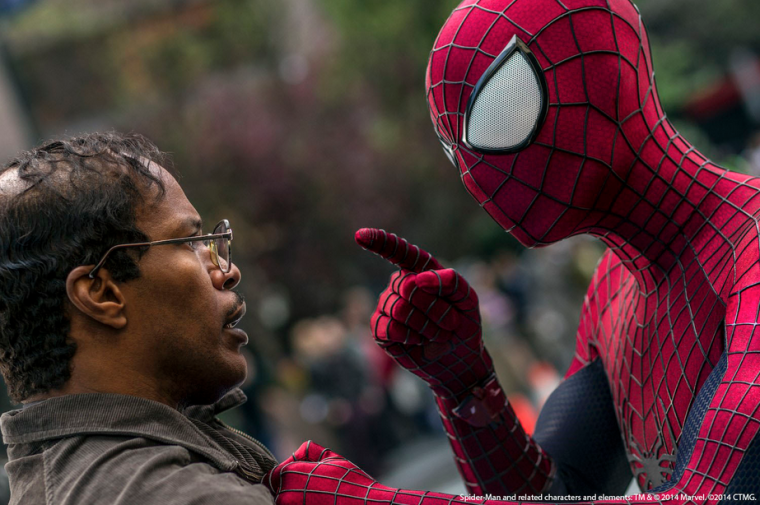 Foxx’s character was the most appealing, the most intelligent, and the most charismatic character out of the entire movie. Everyone other character was overly charismatic and grossly unrealistic. One radical baddie is so stereotypical and so overpumped with tattoos, facial hair, ego, and steroids that I expected him to rip off his skin and reveal that he’s the Terminator. A tour guide portrayed by Nicholas Wright is more worried about fine china and precious artifacts than he is about his own life and well being. Tatum’s daughter, however, is probably the most frustrating. She comes off as annoying, careless, and extremely absent-minded in this film. You might say this is because she’s a child, but tell me something: how realistic is it that a teenage girl like this is smart enough to run her own youtube channel and know more about the white house than the tour guide, and yet, she doesn’t know when to stay in the bathroom or to leave a building when its going to blow up? While I desperately want to prove him wrong through films such as Inception, Life Of Pi and Beasts Of The Southern Wild, it is movies like White House Down that remind me that the industry does in fact exist and operate like a business intended for profit. At least Roland Emmerich didn’t release this film in 3-D: that wouldn’t have helped my side of the argument one bit.